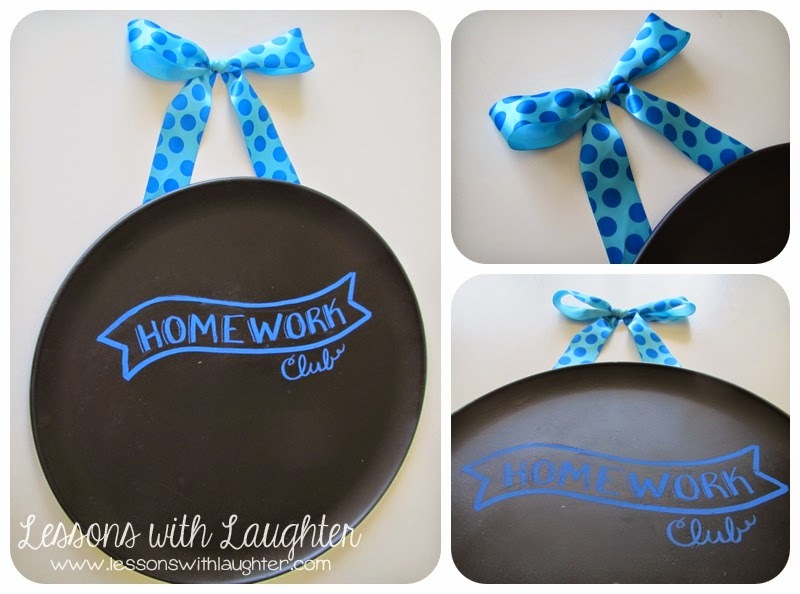 Chalkboard Homework Club & Idioms! I am so excited that I have actual physical products to post about today for Tara’s Monday Made It!! Woo hoo!! Today I have two made-its to share with you! The first is my new and improved Homework Club! I am absolutely in love!! I posted about my old homework club board here, and while I love doing homework club, I was not super excited how that board turned out last year! In previous years I had two rectangular pans, one lime green and one turquoise. One was for students in the monthly homework club, and one for the yearly homework club members. When I went to the pan I couldn’t decide what color to paint it… I actually painted it a pink first, then decided I didn’t like it, so went over it with lime green. Still wasn’t a fan, but I didn’t want to go through the whole spray paint process again with a 3rd color! So this year I was determined to make it perfect! I posted last week about my new love of everything chalkboard, and decided to keep with that theme for my Homework Club board! I was looking for a more colorful ribbon, but I think the blue turned out super cute! I’ll be adding my students’ pictures to it the first week of school. Also this week I finished my Three Ring Circus of Idioms pack! I love teaching about figurative language, and really wanted something more to do with idioms this year, so I worked on creating idiom tickets for 100 common idioms! Of course I knew they had to be in bright, fun colors! I’m still thinking that an idiom-ticket banner would look really neat, so I may have to try that out with these later this year!! I also made pages for the students to write/illustrate/ and use the idiom on a sentence, which can be turned into an individual or class book! Usually we do figurative language a little later in the year, but now I’m thinking we may do it sooner since I am so excited to use these!! Go check out Tara’s Monday Made it to see what everyone else has been making! 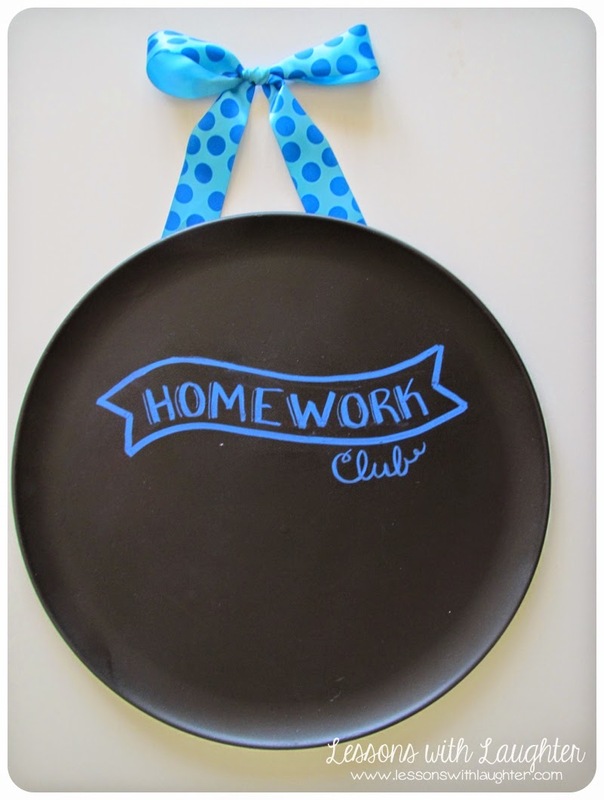 And if you didn’t see her numbered version of the Homework Club, go check that out too! It is super cute!! Love your homework board:) Love the chalkboard, but if I change one more thing in my room, I'll go broke…lol:) Thanks for linking up:) Those idiom tickets are too fun!!! I love your homework board! What did you attach the ribbon with? Your homework club is a great idea and the board is very cute. I didn't even think to just spray paint it. I made one today and covered it with scrapbook paper. Yours looks much more professional! I love both of your Monday Made-its! The truth is I get a twinge of excitement every time bloglovin tells me you've posted something new! So creative! Another item added to my TPT wish list! 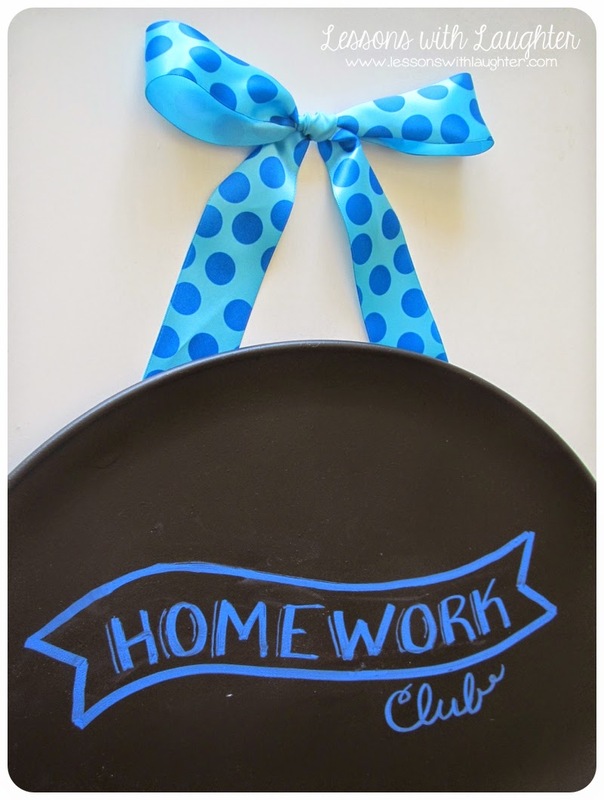 Love the homework board/pan! I am so making one. Thanks for sharing! I love both of these projects!! I really need to check out chalkboard paint- I have a feeling it will be super-addictive Your idiom packet looks adorable! My Target had those file folders on sale last week and I scooped up the rest of the teal (of course!). Thanks for sharing the tip about task card storage- at least now I have a reason to use them 😉 Happy Monday! Your idioms look awesome! I might be adding it to my wishlist.